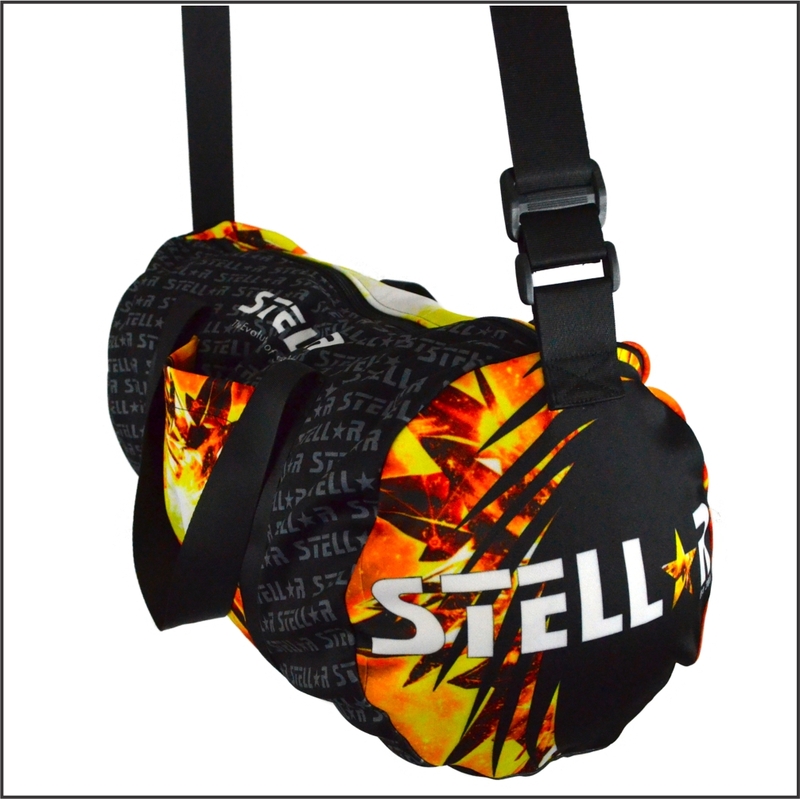 The perfect accompaniment to your Custom Designed Sportswear by Stellar. 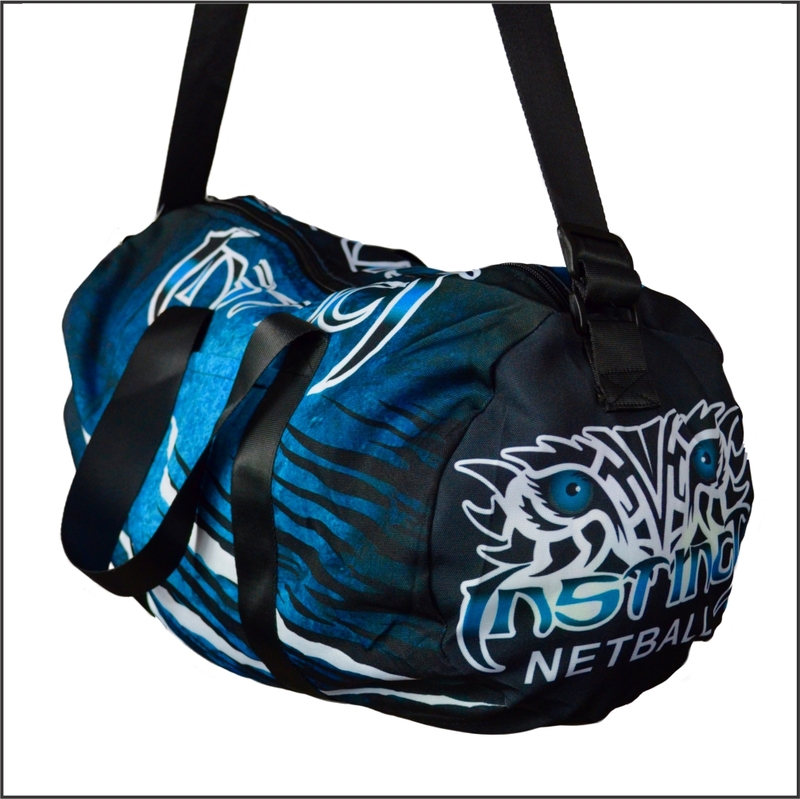 Unique and Original Custom Designed Sports Bag will hold everything you need to take to your game! 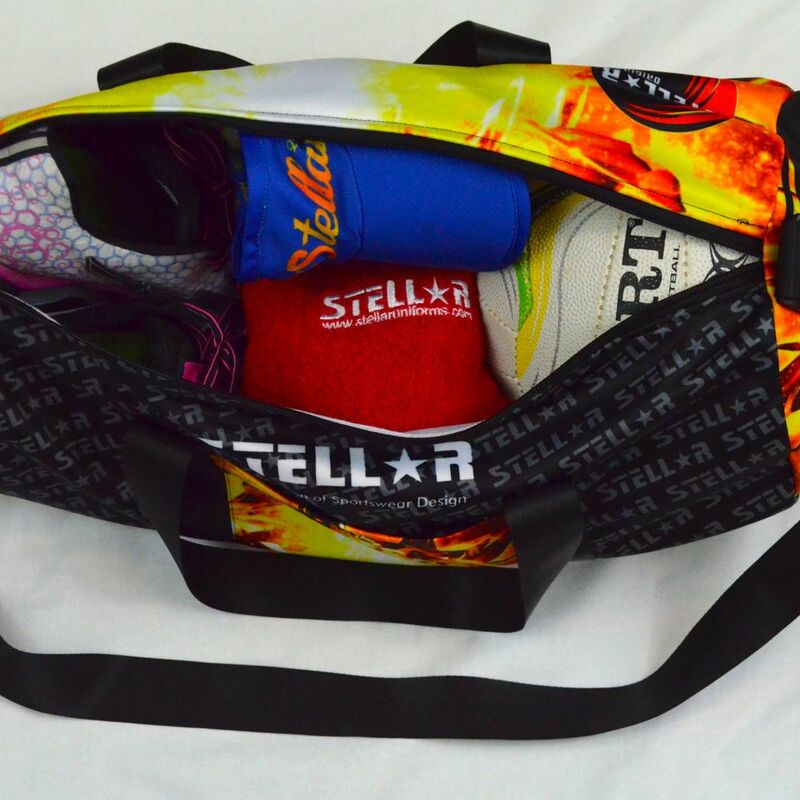 Have an original design you wish Stellar to create for your Custom Designed Sports Bag? 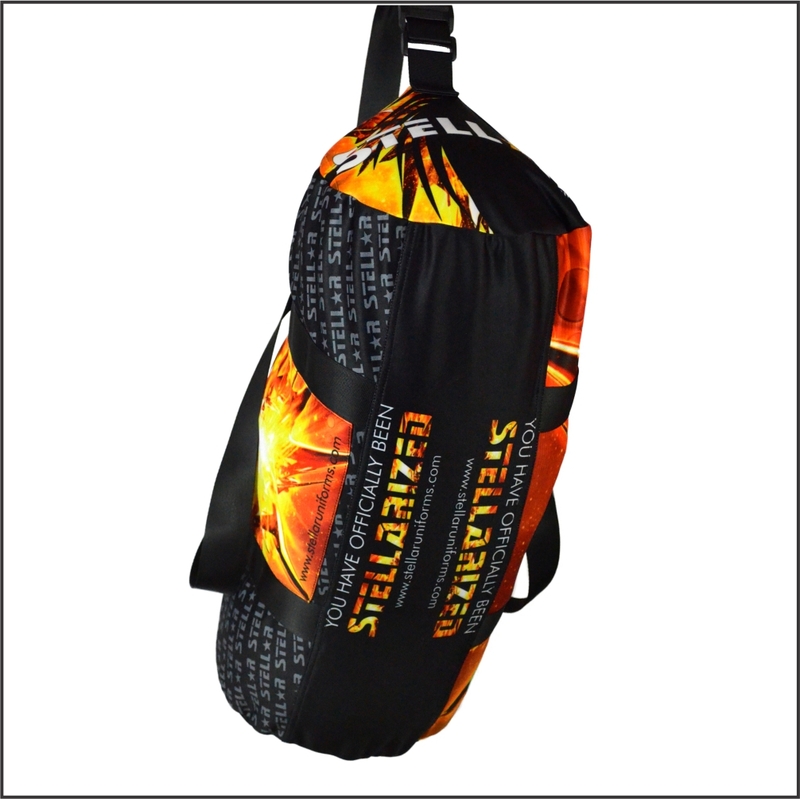 Contact Stellar now so we can discuss how we may be able to help you. Will never crack, peel or fade. 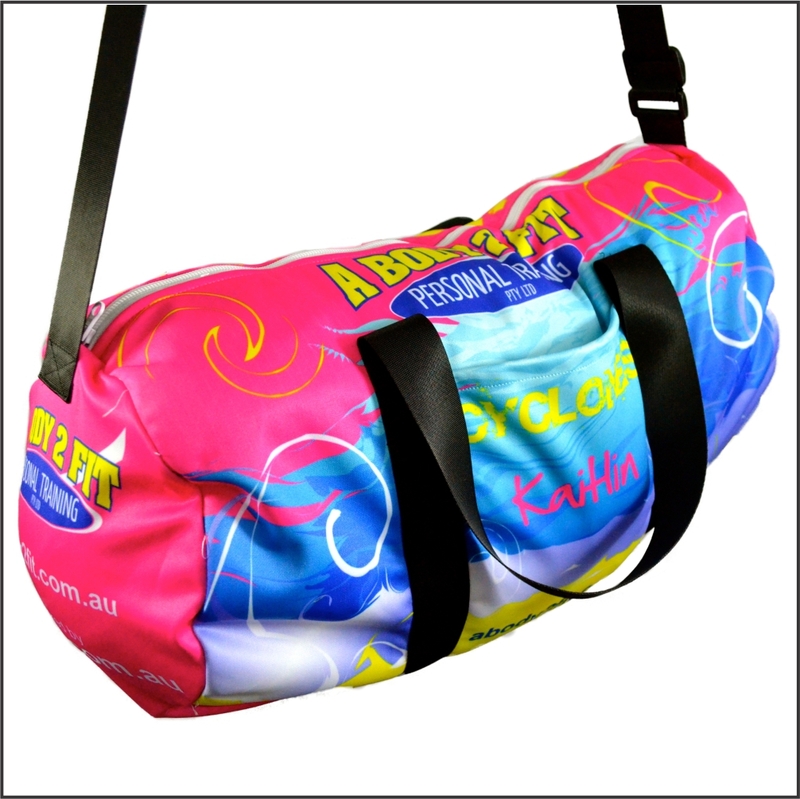 Please note: All designs featured on this website are real Stellar Clients and are used here for illustration purposes only. 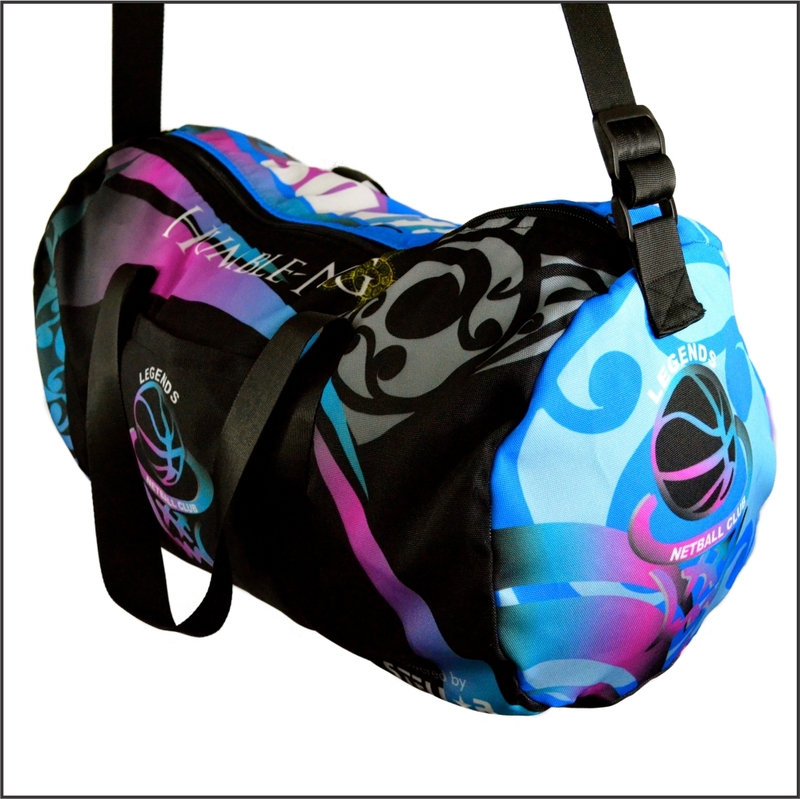 If you would like an awesome design created just for you – don’t hesitate to contact us now.